Bourjois is a drugstore brand that so many of us are familiar with and of course the gorgeous chocolate bar bronzer is a favourite of mine. It smells divine, it looks like chocolate and it applies as the perfect matte bronzer. For me, it comes out every summer without fail and I fall in love with it all over again. 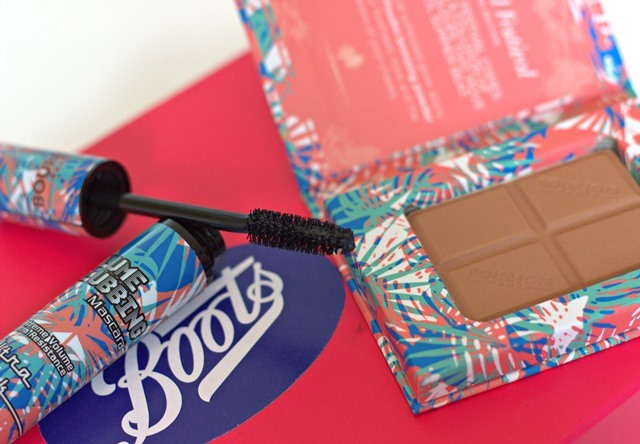 This year Bourjois have created limited edition festival ready packaging which just makes this bronzer even prettier! It still smells divine, looks like chocolate and it applies as the perfect matte bronzer. I am in awe of this packaging, I think it is perfect. 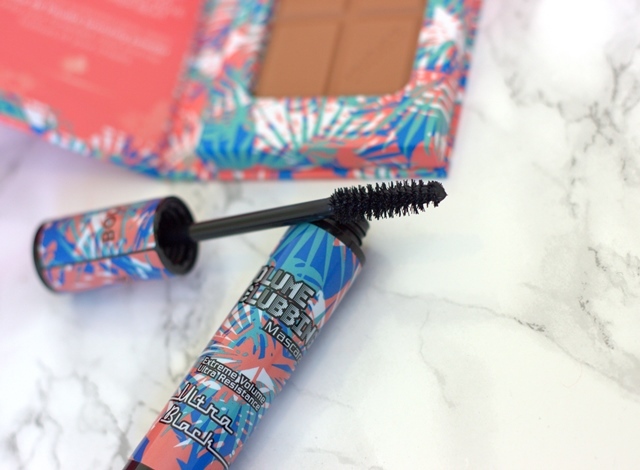 Bourjois mascaras are quite popular with us beauty bloggers. Of course I love the packaging! The wand has lots of bristles with a large brush, giving me lots of volume and long lashes. The formula does not clump and lasts all day, in fact I need to use a proper eye make-up remover to take it off! I have received quite a few compliments on my lashes when wearing this mascara. Everyone wants to show off their nails in the summer and at festivals there is no time for chipped nail polish. You want your polish to last for days! I am generally a Shellac girl, but do wear my own polishes on top and like to be able to do my on nails at home. I was very excited about trying this kit but I thought I would have to set aside at least half an hour. I literally could not stop looking at my nails, the polish to gel top coat gives such an amazing glossy salon like finish. Now, I wash my hands a lot as I have a five-year old and a puppy so even Shellac only lasts about 12 days on me at the most. 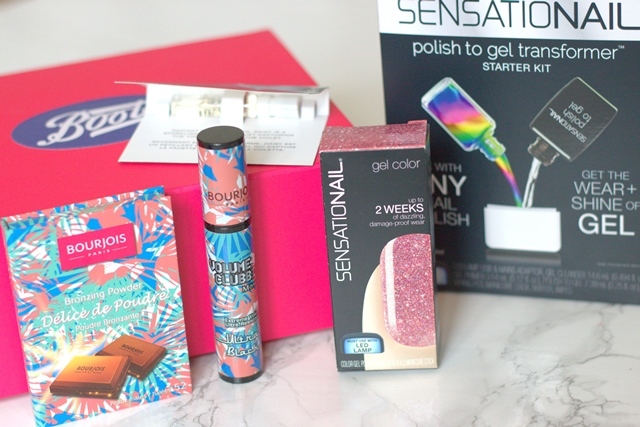 For me, the sensationail gel lasts around six days at a push and it peels off very easily. I do like this kit though, it is quick and easy and still very compact so you can actually travel with it.